Our 0.5 l Hefeweizen bottle. Füchschen Weizen is our small-batch wheat beer. It is hand-crafted to achieve a mellow, fruity and full flavor. A perfect refresher, not just on a hot summer day. 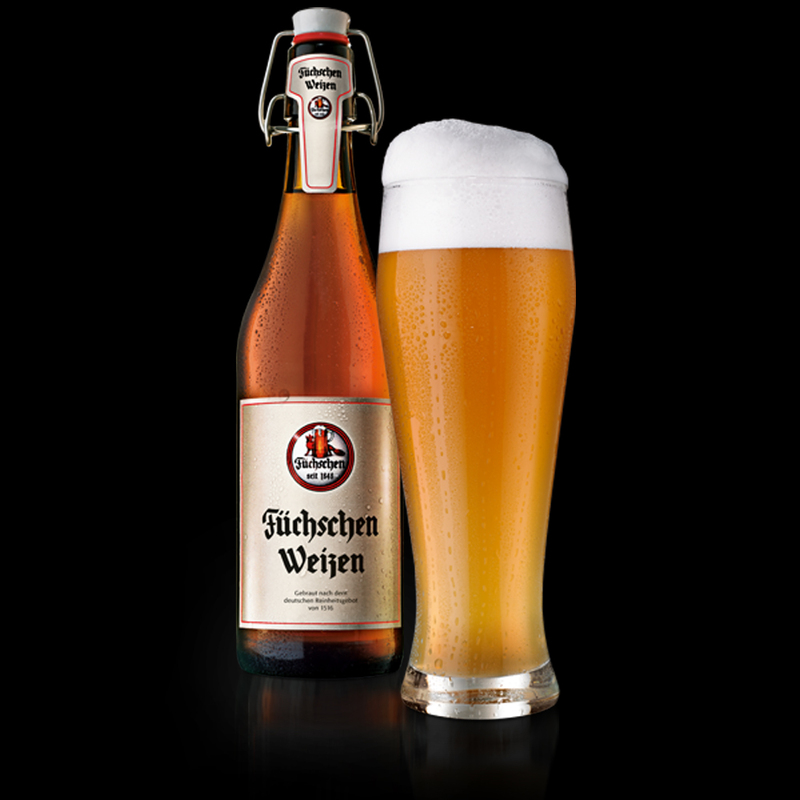 Füchschen Weizen' isotonic properties and high mineral content replenishes the body after any work out.